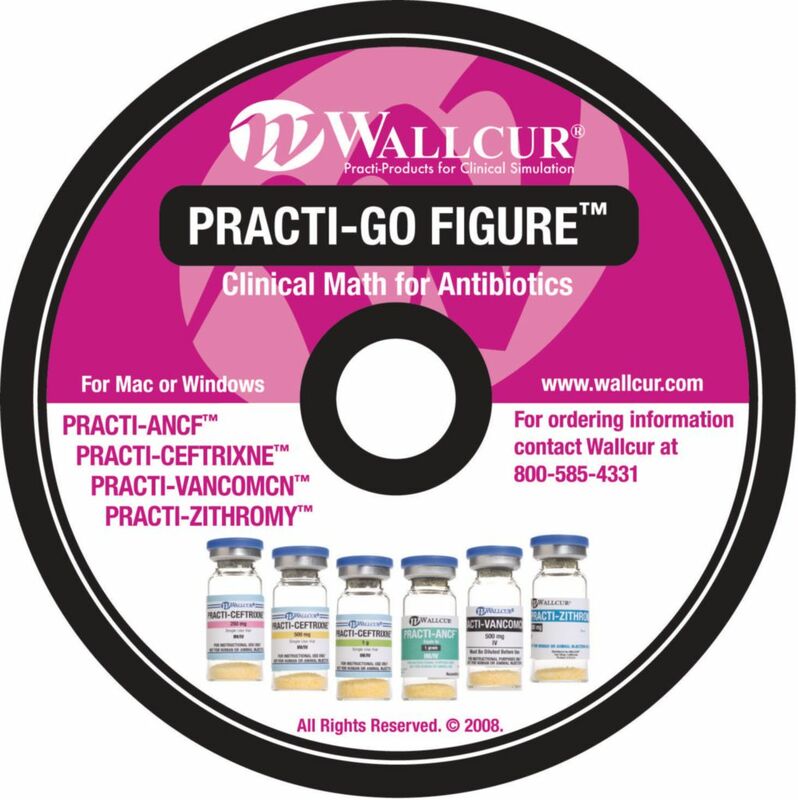 Are you ready for your nursing skills lab, pharmacy tech lab, or clinical simulation center? 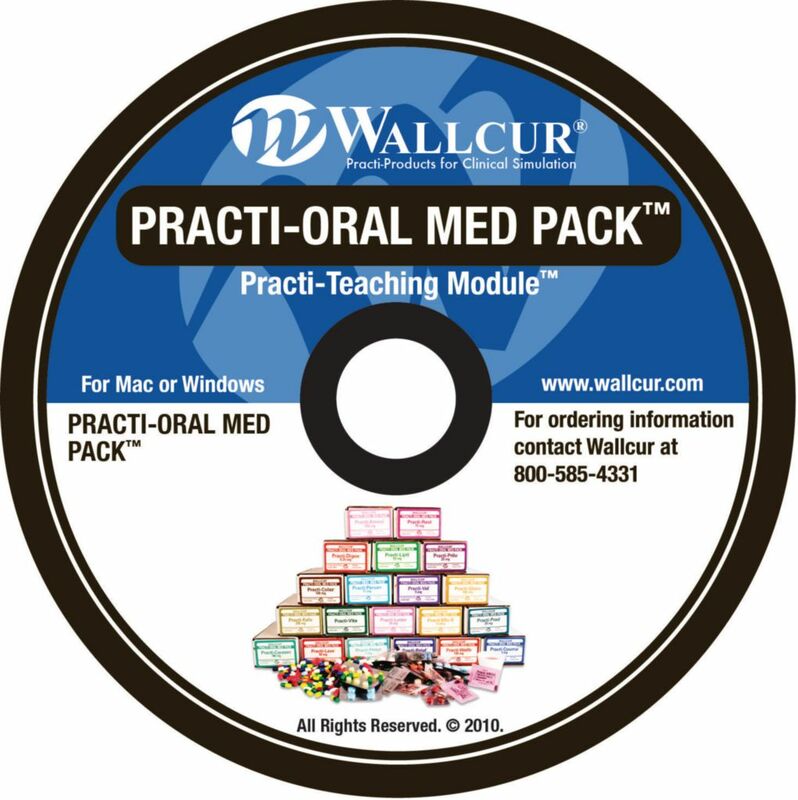 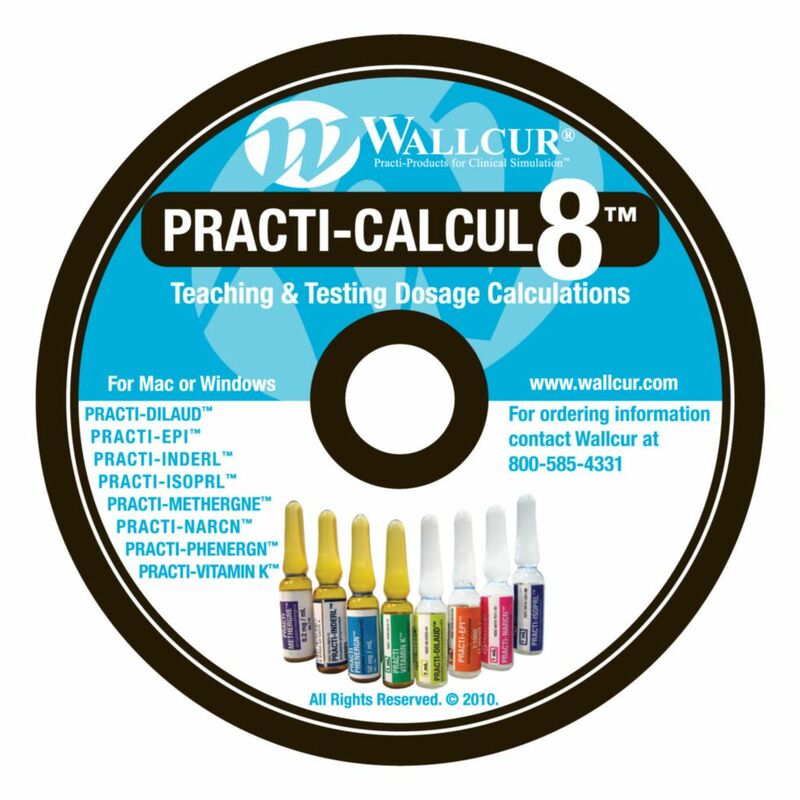 Wallcur's PRACTI-Teaching Modules™ are available on CD format, and have been prepared exclusively by educators to promote student-hands-on experience, assessment and application through critical thinking. 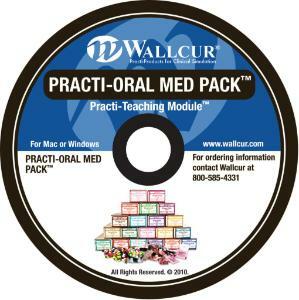 Each CD contains resources in PDF format that you can print and use for your class. 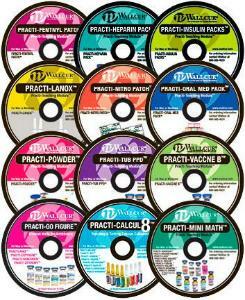 The PRACTI-Math pack contains one of the math titles (Calcul8, Go Figure, and Mini Math). The 9 Pack contains all 9 of the PRACTI-Med modules (Powder, Heparin, Tub, Insulin, Hep B, Lanox, Oral Med, Nitro, Fentanyl). Or get all 12 sections ( PRACTI-Math and PRACTI-Med) in the 12 Pack.